Brace yourself for 2017 Elantra!! “With the 2017 Elantra, Hyundai trades off brash looks for a more refined ride, and it pays off handsomely”. At the front, it’s a success, with a wider, deeper grille giving the Elantra more presence. Boomerang-shaped LED running lights brighten the front-end treatment. With about an inch more in overall length and in width, the new Elantra improves slightly on the current model’s already generous interior space. Front-seat space is very good, with seats more firmly shaped and bolstered than in the past. There’s plenty of small-item storage in the doors, console, and in a covered bin that sits ahead of the shift lever. Acceleration is tempered and even, though the standard 4-cylinder is happy to wind to its rev limits without too much complaint. The 6-speed shifts are staged for economy, not speed, and no paddle shift controls are fitted. It is said that Elantra Sport’s 1.6-liter turbocharged four-cylinder engine will produce “more than” 200 horsepower, or at least 37 percent more power than the 2.0-liter four-cylinder that powers most Elantra models. A turbocharged 1.4-liter inline-4 with 128 hp and 156 lb-ft, teamed to a 7-speed dual-clutch transmission for an estimated 35 mpg on the EPA combined cycle, which would match the new Honda Civic and its 4 cylinder/continuously variable transmission combo for efficiency. Hyundai is aiming for top-drawer safety with the new 2017 Elantra. It predicts it will earn top ratings from both agencies, thanks to a strong new body and to advanced safety features on the options list. A premium audio system, satellite radio, and smartphone connectivity are also available, along with Hyundai’s Blue Link telematics package that enables features like remote door unlock and remote start by smartphone. i) Fill a bucket with very warm, soapy water – Use a mild detergent, such as dish soap or a car-washing solution. ii) Use a rag or dishcloth and scrub the offending paint – Depending on the vandals’ choice of paint, your problem may be solved right here. Keep in mind the vandalism may just be a playful hoax with easily washable paint. Regardless of the type of paint, if it hasn’t fully dried yet, this may do the trick. The sooner you try to clean the spray paint, the better. What could be a soap-and-water job could turn into something much more difficult if the paint is allowed to dry and bake in the sun. i) It is a good, cheap solution, but it can damage your clear coat as well as any plastic parts, or even take off your original paint if you scrub too hard. Make sure to test it in an inconspicuous area first, and wash it off when you’re finished. ii) Nail polish remover – that has acetone in it also works, and is a little friendlier to your paint job since it’s diluted with other ingredients. If you have a bottle of bug and tar remover, it can take off some types of spray paint. Plus, it’s made to be used on cars, so it won’t damage your paint like some other solutions. If paint spatter doesn’t come off with soap and water, but can be scratched off with a fingernail, try spraying brake cleaner on a clean piece of cotton rag and another to wipe cleaner off car. Rub the rag over small sections at a time until removed. Wipe off cleaner. Using a clay bar is the safest and most effective way of removing troublesome paint from your car. (The clay bar tends to be the most expensive choice in paint removal). i) Mold the clay – Cut off a small section of the clay to preserve the rest of the bar and mold it into a flat circular shape to increase the space it covers. ii) Apply the lubricant – Spray a generous amount of lubricant to one side of the flattened bar. iii) Clay the car – Rub, with the lubricated side down, on the affected area with some firmness. You should not need to use a lot of pressure to remove the spray paint. iv) Wipe off the car – When the paint is removed, wipe the excess lubricant off with a clean towel. v) After claying – It can be beneficial to wax your car to help protect the paint from further damage and to cover any small abrasions caused by the spray paint. Automated Emergency Breaking System (AEB). 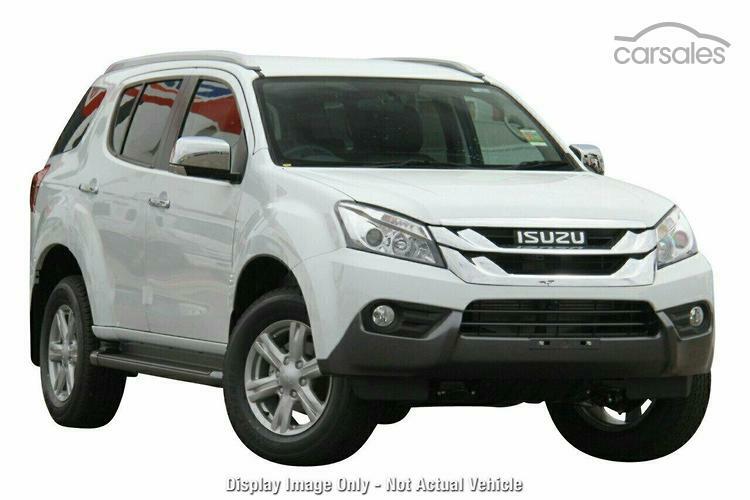 It is the combination of Pedestrian Detection Warning with Collision Mitigated Braking System. AEB systems use sensors, radar, laser or cameras to monitor for risk and detect potential collisions with other vehicles, pedestrians or hazards. It will intervene and brake the vehicle automatically if the driver does not respond. These systems also deactivate if they detect avoidance action being taken by the driver. Low Speed system – this version targets city driving where crashes often occur at low speeds but can cause debilitating injury such as whiplash injuries. Typically, these systems look for the reflectivity of other vehicles and are not as sensitive to pedestrians or roadside objects. Higher Speed system – this version typically utilizes long range radar to scan further ahead of the vehicle (up to 200 meters) at higher speeds. Pedestrians – these versions use a camera combined with radar to detect vulnerable road users through their shape and characteristics. The way in which pedestrians move relative to the path of the vehicle is calculated to determine whether they are in danger of being struck. These three systems of AEB are not mutually exclusive and there are vehicles that may have two or more versions. It is important to note that within each type of system there will also be variation in functionality depending on the manufacturer and even car model (in terms of warnings, braking function, time-to-collision etc..). Dodge – Sixth and Final Edition….. The Snakeskin ACR is the final “Final Edition Viper”. The car will be green with a snakeskin patterned stripe, the ACR package, extreme aero package, carbon brakes, the ACR interior, and a bunch of small interior touches. Dodge will build as many as 31 units. Ordering for the new special edition will open in mid-July. Mazda has made a wise decision by teaming up with Isuzu to replace it’s B-series. Mazda Motor Corporation and Isuzu Motors Limited have reached a basic agreement on next-generation pick-up truck collaboration, allowing Isuzu to enhance its product competitiveness and Mazda to strengthen its product line-up and maintain own-brand market coverage. Isuzu will produce next-generation pick-up trucks for Mazda, based on Isuzu’s pick-up truck model. The deal is described as a manufacturer “supply agreement” rather than a development partnership so it is unclear how much influence Mazda will have over the design and engineer of the car. The two companies already share platforms in the Japanese market, but this new deal gives Mazda a new global ute partner following its separation from Ford. I found this video that made me so happy that it’s summer. Multiple cars unable to stop at very low speeds, because of poor winter conditions, it’s pretty comical.